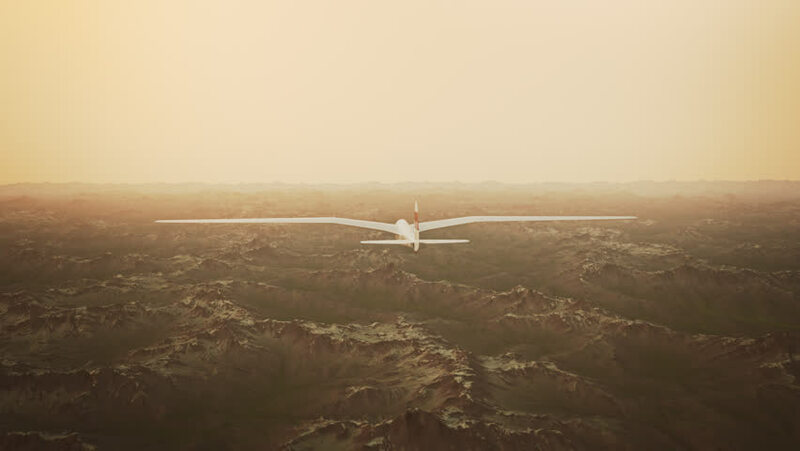 Sepia toned animation of a sailplane soaring over snow covered mountains. hd00:30Sepia toned animation of a sailplane soaring over snow covered mountains. sd00:461970s: High altitude aircraft, the Photographic Technology Branch and the Nimbus satellite are shown, in 1972.
hd00:20The plane flying in the air, red sunset. 4k00:06Dawn over the clouds. Aerial view of the sunset. The sun shines above the clouds. View from the porthole. Evening flight. Flight at dawn.